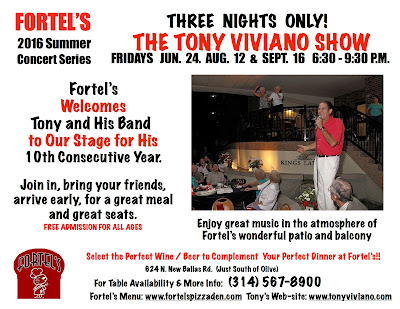 consecutive year at Fortel's in Creve Coeur on Friday, June 24th. 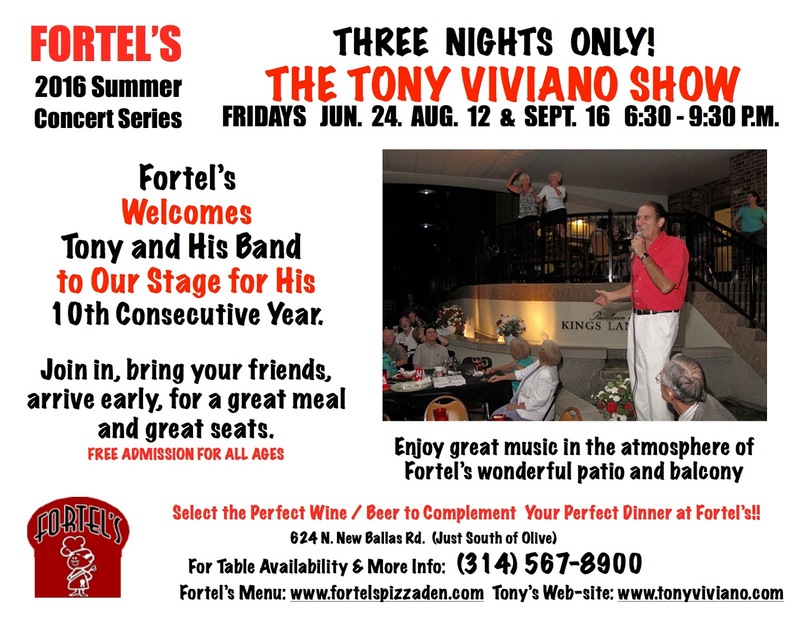 It's an honor to be performing in another Fortel's Summer Concert Series with these master musicians: guitarist Dave Black, bassist Chano Cruz and drummer Michael Major. The gang will all be there; so reserve your table, and come on down!